What IS Photography4Profit All About? PLEASE Do Not Do This On Your Websites!! June 1, 2018 / Steven Bohne / Comments Off on PLEASE Do Not Do This On Your Websites!! I try to visit other photographers’ websites on a regular basis, so I can keep current with the latest trends in photography, and not end up being one of those guys who’s still using the wicker fan back chair and thinks it’s “cool.” But as I search for photographers and take a look at their sites, I gotta tell ya…some of the stuff I see drives me to drink! Let’s make a list, shall we? Oh for the love of everything holy, it’s 2018…what do you mean you don’t have a website? The guy that cuts the grass at your studio probably has a website, and you–the person who is in the IMAGE BUSINESS–does NOT have a website? Someone should go upside your head with a 2×4. It is not unusual today for photographers to have MULTIPLE websites, and you don’t even have one? Shame on you. “Oh, I don’t put my email address on there because I want to avoid spam–I have one of those really cool forms I make somebody fill out. It’s better and looks more professional.” No, it isn’t. It’s a pain in the posterior. If you are that afraid of a little spam, ya big baby, then put your address on your site as “theheadguy at photography4profit dot com.” Then email scrapers won’t grab it and your visitors can still send you an email. If they aren’t smart enough to figure out your email address from that, then they probably aren’t smart enough to have their portrait made. I always just put my email address on the site…didn’t see that much spam. If you do, learn how to set up a spam filter in your email program. Websites without an easy way for the visitor to contact you just are not a good idea. OMG…this is 2018. Flash sites are so 1999. I never used Flash on my sites…ever! Before there was Broadband, Flash sites loaded very, very slowly. After Broadband, Flash sites they just loaded slowly, instead of very, very slowly. And the same person who is worried about security and getting spam puts Flash on their site. Really, are you brain damaged? 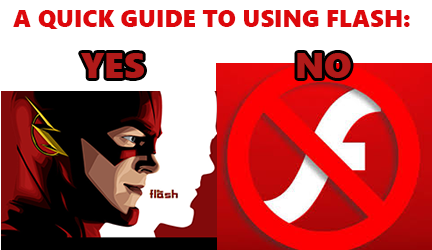 Look: Flash is slow and not secure. Most computers sold today do not have Flash loaded on them. Several browsers make it tough to even use Flash as an extension. And Adobe has already pitched in the towel and they are going to dump it in 2020 since they never did find a way to keep it from being a major chink in your security armor. The “oh gee” factor is long gone–I’d say just about the same time Free Willy was on movie screens. We are all begging you, move on. If you INSIST on having a Flash website, do your customers (and yourself) a favor: have a link to an HTML version of your site. 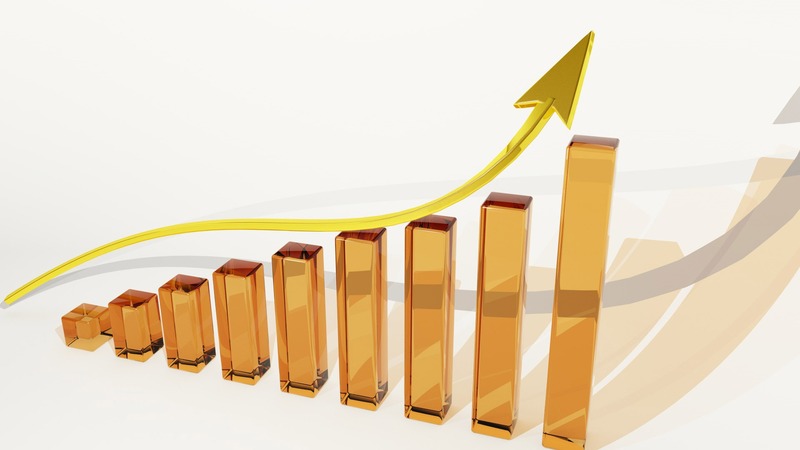 You will find you get FAR more page views by doing so. Or do you want your customers to see the screen below? I know you hear some people say, “VIDEO TURNS VISITORS INTO BUYERS!” Yeah, you know who says that? People who are selling software so you can post videoes on websites. Studies by reputable sources have found video rarely increases traffic or conversions. Yes, I know they can be cool. But just remember how successful Senior Promotions on DVD were. “What?” you say? Exactly my point. If you MUST use a video, make it SHORT, INTERESTING, and SHORT (get it? don’t make it long!). If you post it on your homepage, be willing to suffer the consequences of poor SEO. Overpay some local design firm to do your site. Overpay Marathon Press to do your site. Yes, you’ll overpay, but it will be a quality job. Find a code monkey on Fiverr, Craigslist, or at your local college…heck, at your local HIGH SCHOOL these days! Switch your site to WordPress. WordPress sites are normally much less expensive than HTML sites, or you can learn to do it yourself. It’s fun, it’s easy, and there are many cool themes with more being added every day. Many of them are free. Once again, go over to UDEMY and you can take a class. They often have classes discounted to around ten bucks. Sign up with UDEMY here, OR you can sign up for a FREE 7 day WordPress class with WPZoom. Just to let you know up front, WPZoom makes WordPress themes, and they hope you’ll buy one…or the whole set–but there’s no hard sell. As this is being written, you can get ALL 41 of their themes for just $99…that’s less than $2.50 each! They also offer plugins. Plugins offer additional functionality or customization of a theme. While I currently do not use any of their themes or plugins (and don’t get paid if you buy from them), they are known to have good quality offerings. I know we all get busy. But yesterday as I was looking at photography websites, fully 25% of them had old, expired, outdated offers or notices on them. It’s June 1, 2018. Why do you still have the announcement: “NEW POSES AND BACKGROUNDS FOR THE CLASS OF 2012?” on your website? 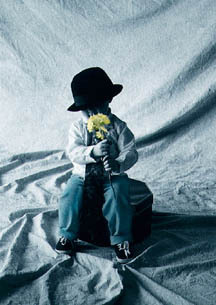 Or why is, “Call us NOW for your Valentine’s Day Portraits!” still posted? Or the very worst one I saw yesterday: “WATCH FOR OUR NEW WEBSITE REDESIGN – COMING MAY, 2001!” If you can’t keep up with it, hire someone to help. Make sure you have not stolen the music. Give the user the option to turn it down or off, and make it easy to find. “Mystery Meat Navigation” is when a home page or landing page comes up on websites…and it just sits there. No information exists on how to visit another page. Maybe, just maybe after scrolling your mouse all over the #@$!! * page, you find a hidden link or menu. Or sometimes, nothing! Why do you do this? “Well, it’s mysterious, it’s cool, it’s hip, it’s happening, it’s now!” No, it’s not. It’s stupid, stupid, and stupid…just like the designer who created it. Leaving your viewer to hunt for how to find what they want is just about as stupid as you can get. Trust me, your viewer isn’t thinking it’s cool…s/he is thinking, “This photographer is a dumb _ _ _,” and moves on. Your websites should evoke an emotional response from your viewer. Frustration is NOT the emotion you should be going for. Stop building websites to impress other photographers and build them to impress your prospective clients. What’s your problem, exactly? Do you think you are an artist, and so you don’t “follow the crowd?” Or do you fancy yourself a maverick, a non-conformist, a person who wants to “go rogue?” Well, you can do whatever you want with your business, just as long as you are willing to suffer the consequences. “Oh, it’s too expensive to buy an https certificate!” It is if you want to buy it from one of the old-line providers! Do some research and you will find that they are stupid cheap. Or you can do like I do: get your websites hosted at Lifetime Hosting. Their price is great, you only pay one time (no monthly or annual recurring fees), and I have NEVER had any downtime. They provide https certificates on every site I host with them FREE! Please note: this is an affiliate link. I don’t get paid if you click it, but I get paid a little if you get your hosting from them. By doing so, you do not pay any more for their services, and may even end up paying less. Really? I cannot understand how someone who is in the business of IMAGES can post anything besides their best work. And if this IS your best work: Lucy, you got some ‘splainin’ to do! If your only image is a small image, just don’t blow it up in Photoshop. At the very least use a software package that lets you enlarge small images and retain reasonable quality. And when you CROP and/or RESIZE an image, PLEASE retain the original perspective. If you don’t, the images look squat, squashed, squeezed, or stretched. Don’t think customers can’t see the difference, because they can. Websites should only show your best. Not sure how you measure up? Take a look at this website. I do not know these photographers, they are not friends of mine, I just know their work. See if they have put any images on their site that shouldn’t belong there. If I was being REALLY picky, I might not have included the image of the man outdoors with two dogs, but that’s if I was being FORCED to find fault if pressed by one of those people who insist on saying, “Well, NOTHING’S perfect, you know!” This is what your sample images should look like. OK, so you aren’t as good as these guys…not many people are! I know I’m not! But that doesn’t mean that you can use that as an excuse to put up poor, sloppy, just plan bad images. At least put up YOUR best work. Do you feel like you don’t measure up? DO SOMETHING ABOUT IT! Practice more! Photograph more! Ask if you can go out with a photographer you admire and have him or her show you some pointers. I’m sorry to say there are more than a few photographers who think they are too superior to take the time to share with a fellow photographer. But if your first choice doesn’t say yes, don’t be angry and don’t badmouth him or her. Some people really ARE too busy to help at certain times of the year. So again, just say, “Hey, thanks, I understand!” and move on to choice #2. You may find a photographer more willing to help if s/he is not in your market area. So you may have to drive 50-100 miles…so what? And never go empty-handed: even if the photographer has agreed to do it free, always take some token of your appreciation. This person has freely offered their time and expertise. The very least you can do is take a gift card to a local restaurant. I’d make it for at least $50. And if the photographer you admire holds paid classes, don’t be a doofus and ask him or her to teach you for free…that’s not very couth. I was lucky enough to have friends like David Humphrey, Barry Rankin, Ron Nichols, Bob Ashmun, and others who shared their techniques. I was never as good as any of these photographers, but it gave me something to aspire to. I took classes from a lot of other photographers and paid a lot of money for the privilege: the late Bill Stockwell, Larry Peters, the late Monte Zucker, Wah Lui. The list is too long to print here. I started at age 19 in my parents’ living room. At age 27, I was operating a $150,000 a year business from a space only 700 square feet in size. By age 32, I had two locations in two cities. By age 39, I had 3 locations and was the silent partner in another. You can do it, too. I was nobody special, but I was willing to listen to people who had the business I wanted (thanks to Gary Jentoff, Larry Peters and especially to the late Lisle Ramsey). More importantly, I was willing to work harder than anyone else in my area to get what I wanted. But that’s a story for another time. Keep working hard, keep improving, and you will find that you can do photography4profit! Till next time. I had a photographer call me this week in a GDPR panic. “Steve, I’m going to have to shut down my websites!” he said. “Well, first of all, you can take a breath before you hyperventilate. You are not going to have to shut down your websites, and you are not going to have to pay the GDPR a multi-million dollar fine,” I told him. Unscrupulous people are contacting businesses (especially SMALL businesses) and trying to panic them into paying big bucks for a small fix on their websites. The deadline is May 25, 2018. So you aren’t compliant? BFD. Neither is 90% of the websites out there–relax. ons across the world. Why they get to apply it to US websites, I have no idea. Someone in DC decided it would be a good idea. So much for wanting to cut back on regulations. After May 25th, 2018, businesses that are not in GDPR compliance can face fines up to 4% of a company’s annual global revenue OR €20 million (about @ $25 million today)– whichever is greater. That will get your attention, to be sure. But, is this enough reason to cause your hemorrhoids to flare up? Does this apply to my little website? However, you don’t get that big hit for your first infraction. It will start with a warning, then a reprimand, and if you continue to violate the law, then the large fines will hit. The good news is that if you are using WordPress for your website, WordPress 4.9.6 now comes with several GDPR enhancement tools. And there are plug-ins that make the whole thing easy-peasy, so forget paying some fast talking code geek big bucks to fix your site. WordPress.org has one that is ZERO COST! You can find a list of available plug-ins, along with more GDPR information, at the WPBEGINNER website. Hey…I’m Still Using HTML…What Do I Do? Check for GDPR on Fiverr, or take a look at this low-cost option! I Do Email Marketing…Am I Affected By GDPR? Yes. For more information, check out this post from Aweber. Ready or not, GDPR will go into effect on May 25, 2018. If your website is not compliant before then, don’t panic. Just continue to work towards compliance and get it done asap. The likelihood of you getting a fine the day after this rule goes into effect are pretty close to zero…for two reasons. First, there are a LOT of websites in existence…over 1.5 BILLION to be precise (but about 200 million are actually active). Now unless these rule weasels have added a LOT of people to their enforcement squad, they are going to be a little behind the curve. And SECOND, because the European Union’s website states that first, you’ll get a warning, then you get a reprimand. Fines are the LAST RESORT if you fail to comply and knowingly ignore the law. With the recent data breaches of large companies (Equifax, Yahoo, Target, et al), it’s important that these standards are adopted globally. The EU is not out to get you (well, they SAY they aren’t anyway). They’re doing this to protect user data and restore trust in online businesses. As the world becomes more and more a digital world, we need these standards to try to stop–or at least impede–bad actors that want to do us harm. NOTE: this article copy does NOT contain any affiliate links! Several years ago, I was attending the Regional Convention of the Mid-East States Professional Photographers Association. I was scheduled to give a presentation on how advertising and promotion were related to profit. It was always a great time to get together with old friends and fellow photographers. One evening while enjoying an adult beverage, a photographer sat next to me and asked if he could ask a question. “Sure, go ahead,” I replied. “Do you have constant cash flow all year long?” he asked. “Wow, that would be GREAT–it seems like I can barely pay the rent after the Christmas season is over! How do you do it?” he asked me. “Well, I have a promotion schedule in place. Every month of every year, there is a promotion…sometimes two. It helps eliminate the ‘feast-or-famine’ situation so many studios find themselves in.” I told him I was giving a presentation and he would benefit from attending. Even though it was early, he said he would. This photographer’s situation is far from unique. It seems like after we have finished the busy season, we all have a natural tendency to let down. You know, coast…take it easy. And that’s not good. When the camera room is “dark” we are losing profit. Here is how most photographers work: they start off a little slow. Then, they get busy. In fact, they are so busy they can’t do anything but keep up with the influx of business. But an event comes along that triggers a slow down. It might be a change of season if you live in a resort town that depends on tourists. It may be the beginning of school if you are a high school senior grad photographer. Conversely, if you are an undergrad photographer, you are just ramping up for your busy season. So not all photographers have the same business peaks. I hesitate to use the word “secret,” because it is so over-used, but here it is anyway: the secret to eliminating the rollercoaster ride of “high season/low season-itis” is to develop a promotion strategy. As this is written, my studio would have finished our blitz campaign to nail down prom photography contracts, which we usually worked on from January through early March. We would be preparing for our Easter promotion, where we photographed children with lambs, bunnies, or baby chicks (depending on what my daughter felt like wrangling that season). After that, we would be advertising our Spring Special. After that, we would be advertising a High School Senior Reorder Special along with a 50% off all frames sale. Next was the Cap & Gown Portrait Special, which was then immediately followed by the “Photograph the Family Before They Go Off to College” Special. We were also selecting and photographing our Senior Ambassadors for the next crop of Seniors. These were our walking billboards. Some principals were [insert your choice of expletive here] and would prohibit our Ambassadors from handing out literature…but they couldn’t do a damn thing to keep the kids from showing their portfolio of portraits to all of their friends during study hall, lunch, and other breaks. We did an Easter, Mother’s Day, and Father’s Day portrait offer at the local Country Club every year. It didn’t hurt that I was a member. You mean I worked on Easter? Yep. It was just a couple of hours, and I normally saw about $4,000 for that couple of hours work. Then my wife and I would have our family come to the club for Easter Dinner. It was great. After that, it was High School Senior Portrait time, along with the wedding season, and I worked 9 days a week. Well, at least it seemed like I did. That kept us at full speed until school started in September. Now, our mornings and early afternoons were empty…for a little bit. We took a brief respite, then advertised our $9 session special: your high school senior portrait session was just $9…any one you wanted…just as long as you came in between 9 AM and 1 PM any weekday. That means Saturday was the regular price you betcha! After the seniors slowed down, we did some nursery schools and some undergrad work. We did a fall special, a Halloween Special, and then it was time to advertise our Christmas Special. On a few Thanksgivings, I did family portraits for a few families who had far-flung families who hadn’t been together in a long time due to the distance. The $500 session fee made it worth it. Yes, I have photographed families on Christmas Day, same situation, different session fee: $750 (keep in mind this was quite a few years ago). We took a few days break but we were busy after Christmas photographing families who were together at the Christmas break. On New Year’s Eve, I was back at, you guessed it, the Country Club, taking prom-type portraits for the crowd. We didn’t have to work too long. You had to make sure the portraits were taken while the guests were still able to stand for them. This pretty much took us through January. We ran a copy and restoration special in February and March, and Gee, where did the time go? It was time to start all over again. This worked smoothly. My local newspaper ad salesman got to the point where he didn’t ask me if I was GOING to run a special–he just called and asked if I wanted to use the same ad with the same picture for the same dates! Now, of course, it’s not that simple to get started. But once you get started, it is a profit producing machine. And after all, aren’t we all doing Photography for Profit? Would you like to receive a FREE PDF* outline of how to do it? Just sign up for our notification list, and it will be on it’s way to you. Use your best email address; disposable email addresses will be, well, disposed of! Until next time, may ALL of your photography be PHOTOGRAPHY4PROFIT! 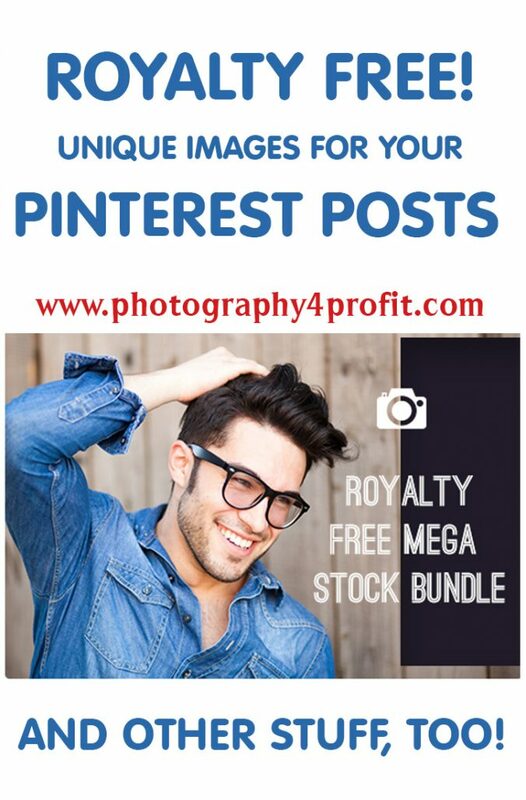 I know that more than just a few photographers are using Pinterest to promote their business. And that’s a good thing! Pinterest is a visual medium. Therefore, it makes perfect sense for photographers to use Pinterest to promote their studio and/or their services. And let’s not forget that nearly 75% of Pinterest users are WOMEN! Let’s face it, women are the portrait buyers. They are the ones who normally SUGGEST having portraits made. They are normally the ones who SELECT the photographer used. And finally, they are normally the ones who DECIDE what money gets spent. If Pinterest had been around when my studio was in operation, you can bet I would have been an early adopter. You kids have it so EASY these days [SMH]! Wow. 1950 called: they want their male attitude back. Don’t get stupid. Who do you think the other 25% of users are? That’s right, MEN. Not only that, but there are over ONE MILLION businesses on Pinterest. Right now, 33% of THOSE users are MEN! In any event, it is probably very likely that 100% of your customers visit Pinterest at least casually, and I wouldn’t be surprised if 70% of those use it regularly. I hope you are starting to see the value of Pinterest. Just as an aside, I will have to cut some of you men a little slack on your attitude. My wife was telling me about Pinterest a while back. When I told her, “Oh, yeah, I’m on Pinterest,” she shot me a look that said “REALLY? You’re on Pinterest?” So that door swings both ways. And since I’m the cook in our household, I replied, “Where did you think all of those great dinners came from you’ve been raving about?” Hey, I got skills! I personally would avoid using Movie Pins unless you have a Movie blog or similar site. People can be easily offended, so it is too easy to send a Movie Pin to someone who finds that movie offensive. However, Recipe Pins can be great to send to your female clients–busy moms will appreciate your thoughtfulness. And don’t forget the men! 98% of the outdoor cooking is done by the man of the house. It’s a good bet he’ll appreciate that recipe for a great BBQ sauce or a new steak rub. Article Pins can also work well for men OR women. Just as quick examples, think of DIY or Investing Pins for men, or crafting or cooking articles for women. Product Pins make it easy for people to buy what you sell. They include real-time pricing, availability, and where to buy. Pinners will also receive notifications when product Pins they’ve added drop in price. Speaking of price: did you know that Pins WITHOUT price receive more than a third more likes than pins with a price listed? Not only that, but pins that do not have a face in them get repinned 23% MORE than Pins WITH a face? Now, before you go cutting all the heads off your portrait Pins, keep in mind that this stat applies more to product Pins than photography Pins. Finally, Place Pins can generate interest with both sexes. Whether it is an exotic location or just around the corner, clients will most likely be interested in your photographs! All of this has just one simple goal: when people think of a photographer, it is YOU who comes to mind. Did you know you can make Pinterest boards secret? That’s right! You can elect to make a board private and no one can see them except you…and anyone YOU INVITE! I hope you can see what I’m getting at? No? Okay, I’ll spell it out: Pinterest Secret Boards can be used to let clients preview their images PRIVATELY. How cool is that? Now, you just don’t stop there. Assume you want to do research on a business client, or you want to do research on a new promotion without tipping your hand to your competition? I hope you see the value. Pinterest Pins Have STAYING POWER! Finally, Pins hang around LONG after a campaign is over. This is one reason why I never got all worked up about using Twitter to promote my business. 120 characters that have scrolled off the page in less than 45 seconds. Pfffft! Same with Facebook: it might stay on your page forever, but as you add new posts the previous posts get lost. And when those posts appear in someone’s feed? Well, the results are pretty much like Twitter. Before you know it, they have been pushed way down the feed. Pins remain on your board until YOU take them off. Well, it does take a little work. If you are a one man or one woman show, and are not familiar with Pinterest, you have some research to do. Won’t I tell you all about it? I’m sorry…is the title of this site, “Here-Let-Steve-Do-All-Your-Work-For-You.com?” So the answer is no. But if you aren’t a Pinterest kinda boy or girl, I would be willing you have a spouse/daughter (or son! )/employee/friend/customer who is. And I would also bet that you could EASILY find someone who would be THRILLED to be your “Social Media Manager.” And in case you didn’t know, Fortune 500 companies actively seek out and hire people to do this job. Maybe you can’t pay a regular salary, but you can offer a small token of your appreciation. Maybe movie or concert tickets, a gift card, or maybe even photographs to a customer. I’d get going on this right now. Because it’s a good bet that sooner or later, one of your competitors will. The person who succeeds is not always the best photographer. Most often, the winner is the hardest worker. What did we do before Google? Set aside some time to research Pinterest and Pinning. I WILL tell you this: it can take some time. It DEFINITELY takes a lot of IMAGES! And finally, you want to make sure you create your Pins in the the proper SIZE. Why is that so important? Keep in mind that something like 78% of people use Pinterest on their mobile device. So what? Well, if you make your Pin the wrong size, it will not render properly on cell phones or tablets. These all add up to one end result: Bye-bye prospect! Okay. I’ll Help You Out. Well, the class was about $225. Look, I get it. We are all working our way through life. But I didn’t ask her to give me a complete Pinterest training…I just wanted to know one little thing. If she had given me the answer to my request, THEN said, “Hey Steve, if you want to learn more about Pinterest, I have a class available. If you’ll sign up today or tomorrow, I’ll give you $75 off the class,” I very well may have been interested. But what do you think the chances are of me signing up now? You got it, pretty slim. So for anyone who signs up for my email list, I will send you a Pinterest Template FREE. That’s right, free–like in, “No Cost To You!” You may use it to create as many Pins as you want. I only ask this: you agree NOT to sell it or give it away. This Template is completely customizable in Photoshop. No, you don’t have to buy anything from me. No, I won’t ask you to sign up for my “Pinterest for Photographers” class. Well, not today anyway (just kidding, I don’t have a class for you). But you COULD help me out by giving me a tip on PayPal, or by purchasing one of the deals I have listed below. By doing so, I get paid a (small) affiliate commission. But again, no obligation. If your page doesn’t display the SUBSCRIBE box because of your browser settings, just send me your name with your best email to stevebohne@gmail.com. Please put PINTEREST TEMPLATE in the subject line. Please understand this offer may be withdrawn at any time without notice, okay? If you find Photoshop too complicated or too expensive, you can always use Photoshop Elements. 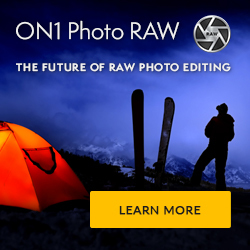 However, I have been using On1 Camera Raw and I found it easier to learn than Photoshop. Yes, it will work with .PSD files. It is also inexpensive, and you own it without any subscription fees. You can try before you buy, and they give you FREE GOODIES nearly every month. They have tons of free tutorial videos as well. Try it, I think you’ll like it. If you are looking for a web host for your own website, or if you are not all that happy with your current web host, I have a couple of recommendations. I use several hosts, since I have several sites. Lifetime Web Hosting – I signed up with Lifetime Web Hosting after purchasing a program through them called Dragify…a drag and drop web page builder. To date, I’ve never used Dragify (I guess I got used to WordPress) but they made me an offer for lifetime web hosting. Well, I was a little skeptical, but I can say I do like them. Pretty responsive service, I can host multiple sites, and I got an SSL certificate free. Not only that, but they offer a free domain and other perks. And you pay ONCE for web hosting, and then never pay again. Right now they are running a super offer. They simply CRUSH GoDaddy, Hostgator, and BlueHost. HostMetro – HostMetro is very good hosting. You can host UNLIMITED domains, and they guarantee 99.99% uptime. I have used HostMetro for about 5 years, and have been very satisfied. They also have FREE site builders, and they offer WordPress hosting. They are as low as $2.99 per month as this is written. “If they are so great, why don’t you use only them?” Well, a few years ago I was developing sites for Ebook authors and I needed ASP Net hosting, which HostMetro does not offer. So I signed up with WinHost (see below). WinHost – WinHost is a premium Windows web hosting service. Their hosting will handle sites that need ASP Net hosting. They also can run WordPress sites. Yes, I use them. Right now I have a shopping site (shopsteveonline-still under construction) with them. I can host multiple sites with WinHost, I currently pay $3.95/mo when I pay for 2 years. This is a good price, especially for a premium host. I have been with them since 2014, and started with them when I was developing sites for Ebook authors. Their customer service is very responsive, and available 24/7. They offer managed WordPress hosting that has a ton of extras, such as super security, called “hardening.” It’s a little prices, but if you have several WP sites or just don’t have the time to set up a WP site or manage several sites, it is worth it. 000webhost.com – The “000” in 000webhost stands for free. Like in $0.00. Yes, it’s free. There are NO ADS like on many “free” web hosts. You can host up to 2 domains. What’s the catch? Your site will “sleep” one hour per day. It is limited to 1000MB of disk space and 10000MB of bandwidth. Now by 1997 standards this was HUGE. Today it is a little on the small side. However, if you are just getting started, or you just don’t have a lot of cash to spare, you need to take a look at 000webhost. If you need live support, WordPress hosting and more storage, with no “sleep” period, their premium hosting is still a bargain. Do I use them? Not currently, but only because I am using WordPress for my sites now. Back when it was HTML I used a local provider, then switched to Yahoo (yes they used to have web hosting) and then to an outfit called Site5. I won’t bash Site5: you can go on Google and find plenty of people who will do that. My site was down as often as it was live. It started out cheap, then more than doubled in cost. So for a period of time I used 000webhost. This brings us to a thorny question: is it ethical to use images on my Pinterest Pins or my website that are not my own? Now I know this is very controversial. My short answer is “yes” with some qualifications. But that is going to be another post on another day. Get crackin’ on those Pinterest Pins! Too busy right now? Okay, but right after Christmas, get going. Get your kids to help…they probably have it all down anyway. In any case, Pinterest is just one more tool we can use when we are trying to use Photography4Profit. Share this site with your friends. If you don’t share it with the photographer down the street, I’ll understand. There’s Still Time For Christmas Cash! November 27, 2017 / Steven Bohne / Comments Off on There’s Still Time For Christmas Cash! Well, did you give the gift certificate promotion a try? No? Why not? Well, okay, but just remember that the person who wins is the person who is willing to work harder than his competitors. But the holidays ARE a busy time…both personally and professionally. But don’t feel like you are going to lose out on Christmas Cash just yet. I still have a couple of tricks up my sleeve to bring in customers that will have you HO-HO-HOing all the way to the bank! Call Present and Previous Clients–IT’S CHRISTMAS! Unless you just got things going this year, you may not have a large list of clients (don’t worry, we’ll talk about that in a bit). Call every client and tell them they are eligible for a complimentary portrait session. It can be of the entire family. It can be of just the kids and Fido or Mr. Mouser. It can be of just mom and dad. It can be of Papa and Memaw. It can be of the %^&*@@% NEIGHBORS for all you care! You just want to put butts on your posing stools, Skippy–got it? Now, if they make any purchase, you will give a gift certificate to them that totals the exact amount they spend. They can give this to ANYONE they want. You will have them fill out the certificate right there in the studio (or your basement, garage, or wherever you do business). This will go into a NICE QUALITY envelope, preferably with a Christmas theme. On the envelope you will have printed, “A gift to someone we really care about–MERRY CHRISTMAS! Okay, okay, if your clientele is Jewish, make it Happy Hannukah…whatever it takes. IMPORTANT: Make sure you capture ALL of the recipient’s contact information. You want to be able to follow up! Try for address/phone/email, but at the very least, get their phone and address. Your goal is to try to get these people photographed before Christmas if possible, but do NOT call the gift recipients without checking with the gift givers! While many will give the certificate before Christmas, some will want to wait and use it as an actual Christmas present. You do not want to raise their ire by letting the cat out of the bag. They Said They Weren’t Interested! Horsefeathers–you just haven’t convinced them they wanted this yet! But let’s say they DID just have a portrait taken recently. No sweat. “Mrs. Jones, I understand you just had a portrait taken a short time ago. I understand you may not want to take advantage of this offer. However, Mr. Studio Owner has a special custom made just for folks like you. If you purchase a gift certificate of $50 or more, we will DOUBLE the value of the certificate. So if you buy a $50 gift certificate, your recipient will receive a gift certificate imprinted with $100. If you give a certificate for $75, you’ll be giving a gift of $150! Your recipient will be overwhelmed by your generosity…but it will be our little secret, okay?” Remind them that Papa and Memaw won’t be with us forever, and this is a great time to have their portrait made. They would never do it on their own, but how can they refuse you? Don’t think it will happen? Well, my bank account grew by over $2000 just from mentioning this very item one Christmas season. What About Me–My Business Is New? Keep your lens cap on, I’m getting to that! Today is Monday, November 27, 2017. If your color lab is worth a darn, you should be able to have six 16×20 prints made and delivered by Friday, December 1, 2017 (get permission from the subjects first!). While those prints are being made, find three locations to display them. Restaurant, shopping mall, dress shop, where ever. Ask if you can place TWO portraits on easels with a drawing box (wrap these like gifts with a slot in the top). Have three signs made that read, “Please vote for your favorite portrait. A drawing will be held December 10, 2017. 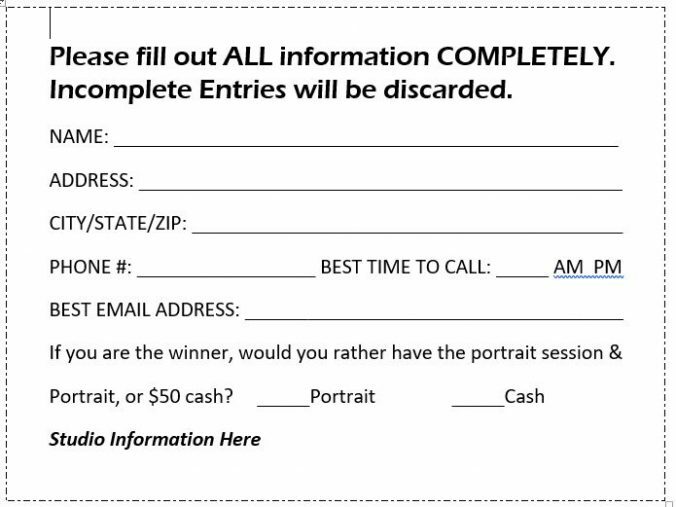 Winner will receive a $50 gift certificate from Candide’s Restaurant AND a Complimentary Portrait Session and Portrait from Picasso Studios valued at $_______.” Have drawing slips made up (refer to the example at the top of the page). Have a dozen of your friends/relatives visit these businesses…preferably about 15 minutes apart if possible. Have them ask, “Say, I was told there was a portrait display here by Picasso Studios…can you tell me where that is?” If they would buy something small, that would be a big plus. The owner will feel all warm and fuzzy. But…But…I Don’t HAVE Any Easels! Oh come on–I’ve done just about everything else for you! Do NOT go out and buy six easels! Check art supply shops and see if they have some you can borrow or rent. Check with local art teachers, high schools, community college, or if you come up empty there, make your own inexpensive easels! Now, once again, if you are using a lab that is worth a darn, you should be able to get finished portraits by Christmas even if you photograph late into December. And if someone has a order where all the prints are smaller than 11×14, take the file to WalMart and tell “Photo Joe” to turn off the printing on the back of the prints (you know, where it says “Printed by WalMart”) and deliver those the next day. And hurray, hurray, you’ll have cash to spend on gifts for Christmas Day! Have the forms sized so 4 will fit on one 8.5×11 sheet of paper. Your local quick printer can print and pad them economically. There will be two GRAND PRIZE WINNERS: one will receive a certificate from the merchant, the other a certificate from you. But there’s no State Law that I know of that says you cannot give that person a certificate, too. As far as that goes, if you want to make EVERYBODY a grand prize winner, that’s up to you! You are going to want to do your best to photograph the people before Christmas, but if they say they just cannot do it (they have family away, etc.) adjust it to fit their schedule. The idea is to put bootys on posing stools, right? Even so, don’t be afraid to offer a little inducement to do it before Christmas. And be prepared to work some nights and weekends…maybe even Sunday. And, boys and girls, this is how we make it rain on Christmas…rain cash, that is. Remember, it’s all about photography4profit! Until next time. Now if you’ll excuse me, I’m off to my garden so I can HOE-HOE-HOE! This promotion takes no paid advertising. You read it right: a Christmas promotion with no paid media. There is no need for special sets (unless you want to do them). And no Santa Suit rental and then finding a jolly ol’ St. Nick impersonator to fill it. Interested? Keep reading. Why only offer it to companies of 50 or more? Heck, why just do it at Christmas? DUH! Why not approach area businesses and say, “We are offering an employee morale/loyalty building program for your business. The only cost to you is covering the cost of the package handed out to each employee. ” We tried REAL hard to get the employees’ contact information, but sometimes all we could manage was the mailing address. We took what we could get. Call HR (owner of a smaller company) and asked them to watch for our mail. Mail a letter outlining the program. Call and set up an appointment to present the program to the person/person who could say yes. When you go to the presentation meeting, take portraits. LARGE PORTRAITS. Then have an album with 8×10 samples in it–nothing smaller. Be friendly, excited, and low pressure. Remind them many employees are not looking for more money, but they would like to feel that they are appreciated. This gets reflected in the letter from the company. When “selling” the idea to the businesses, we suggested they get permission from the families to use a portrait on their reception room wall with a small sign reading “The Families of Wilbert, Inc.” Bingo! Print sales to the company! With a little extra selling, you could move them into a collection using frames that clipped together and design the entire display for them. You Can Do Variations On This At Christmas (Or Not)! The Kodak promotion included a portrait and the companies paid more for this. If I offered it at Christmas time, I would remind them that it was the Season of Giving, and the employees would think of the company’s generosity every time they viewed that portrait on the wall. And don’t chicken out! Start by offering the program with a wall portrait and work down from there. Of course, you’ll show them your REGULAR price and then the SPECIAL price that you are giving them. I used to chuckle a little and say, “You know, your employees know that I’m the highest priced studio in town. They’ll be impressed that you chose ME instead of one of the cheaper studios in town. But it’ll be OUR little secret that you got a deal.” Talk about applying the velvet hammer! You also don’t have to think in the vein of just a single portrait! A portfolio of 8 portraits matted and framed can work as well…be creative! John Hartman makes a set of Photoshop actions that let you “mat” a collage of images in Photoshop. It is VERY realistic. Then, you just frame it. Here’s a tip: make it a non-standard size, so YOU can be the one with the frame sale. Make It EASY For The Families–Hey, It’s CHRISTMAS! The letter stressed that the photography would take place over two weeks. During that two weeks I did sessions on 2 Saturdays. On 4 on the weekdays, I made appointments until 9:00 PM. From time to time, someone would say, “Oh, Mr. Bohne…we would LOVE to do this, but our son, Biff, is away at Whasamatta U…couldn’t we do it when he was home?” What do you think we said? Sometimes, people said, “I would really like this done at the park,” or, “I’ve always wanted a portrait taken in my home.” What do you think we said? There was NEVER a charge to the family UNLESS they were outside Jackson County, OR they just HAD to have a Sunday. We photographed the heck out of these groups: family, mom alone, mom with the girls, mom with the boys, mom with all the kids, dad alone, dad with the girls, dad with the boys, dad with all the kids, mom and dad together. If they had pets, we included them if they wanted to bring them. We REALLY tried to get them to bring the Grandparents (if they weren’t already in Florida). Oh, if they were in the portraits, too…this was like finding diamonds on the ground. Fantastic sales! Every once and a while a company would say no. No problem. I then would go into “stealth marketing mode.” I “borrowed” this idea from Les Petersen. Okay, okay: I flat out stole it. Now let me make it clear that I didn’t do dozens of families from this method, but with a my average order, I only had to photograph one to pay for the ad, and I never did only one. Sometimes one of my current customers would work there, and I’d get them to post an announcement on the company bulletin board and/or put little cards on their fellow employees’ desks. We never asked the company, we just did it. They probably would have said ok, but I guess I’d rather ask for forgiveness instead of permission . No company ever complained or reprimanded the employee. Not saying it couldn’t happen…it just never did. So if you don’t want to have to design and pay for a special Christmas set (which we already had and continued to use), this can be a moneymaker. Not just at Christmas, but year round. It just takes a little effort, and doesn’t cost much. Best time to start calling on businesses? YESTERDAY! For holiday sales, we normally called from the first of November up until the first week of December. After Christmas, we concentrated on the smaller companies or any companies we missed during the holiday season. We normally called on companies in January to do photography in February, February to do photography in March, and March to do photography in April. Remember, the only reason you have a “slow season” is because you slack off. This doesn’t cost much, but it takes some effort. In my experience, my colleagues were not all that interested in working all that hard. I can tell you this: you’ll never know until you give it a REAL try. By that, I mean go at it strong for at least three Christmas seasons. I DO know that if you are not personable, it will fail. If you don’t fancy yourself a real promoter, hire someone. There are a lot of salespeople, community group leaders, and pastors from the community who have this skill. There might even be a present customer who comes to mind. Pay them a base pay of $x per hour to a max of 20 hours a week, then add a bonus of $25-$100 for every business they book. The bonus would be based on the size of business and if the business pre-purchased portraits or just went with the certificate. Have a great week, and watch for more ways to do Photography4Profit coming soon! November 5, 2017 / Steven Bohne / Comments Off on Do You Know Who Your Customer Is? Now, I just KNOW there is more than one of you out there thinking, “What a stupid question! Of COURSE I know who my customer is: anyone with cash, credit card, or a checking account!” Well, okay, I had that coming. But I think you know what I meant. By not identifying your target customer, you really don’t know how to reach them. You risk being one of the 3 out of 5 photographers who start a business and then close it just 3 years later. By identifying the type of customer you want in front of your lens, you can be a focused beam of light, targeting the customer you want–and avoiding the customer who does not want the type of photography you do. Lisle said he could help with that. “First, stop the service club calendars and school play adverts. Very few, if ANY, of the people who see those are interested in what you do. They are simply a donation. Advertising on grocery store receipts may have its place, but not here! Now, do you have any landscape photographs or avant garde portraiture?” The photographer had those plus some very dramatic black and white images. “Good–those will get you in the door of the places I want you to visit. Make sure you have releases for the portrait subjects. If you need new prints, get the negatives to our lab and I’ll have them printed ASAP. We’ll give you the studio sample discount. Next, go to your local art galleries and ask for a showing. The gallery owner will receive a commission on your sales, but it will be worth it. If the art gallery says no, then visit your local museums–they LOVE events like this! If that cannot be arranged, check with a local college. Set the date 5-6 weeks from now. “To advertise this display, call a list company and ask them to break out a list in your immediate market by zip codes. You want people with college degrees, an income of $50,000 or higher between the ages of 28 and 55. At the same time, if you can obtain the list of the members of your local Country Club and art societies, by all means do so. “While you are waiting for your list to be delivered, design a four color card. Use three of your very best images showing the photography you want to do. The only words on the front should be ‘A Personal Invitation’ in Palace Script and your logo. On the back, announce this event with time/place/date. Tell the printer to print 500-1,000 EXTRA cards without printing on the back for use later. Inform the recipients you are unveiling a NEW type of photography. You would appreciate it if they would come and give their opinion (people LOVE to give their opinion). Keep it brief and to the point. Finally, mail the cards at LEAST 10 days before the event. If you do not have the time or staff to do this in house, farm it out to a mailing company. “At the event, have cheese and wine, and coffee and tea in a silver service for those that don’t partake. Display your portrait on an easel with a card that lets people know that you are the artist. Dress appropriately. Yes, I know…you’re an artist. That does NOT mean you have to dress like you are eccentric or living in a hovel. Mingle and talk to as many people as possible, introducing yourself as the artist and ask how they like what they see. Be prepared to hear some negative comments–not everyone will love what you do and that’s okay. “At the same time, have a female employee (they are less intimidating than males) dressed in an evening gown go through the crowd with a guest book. Don’t just leave it on a table–it won’t get signed. As she obtains this information, have her ask what they think of the images they see. Any person who is especially complimentary or makes a comment such as, ‘I would LOVE one of _________ on the wall of my living room!’ should have a small identifying mark placed next to their name. “A few days (not a week!) after this event, follow up with a handwritten thank you card to those who attended. Three days after you have mailed the cards, CALL and thank them. At this time, you will explain that you are developing a new style of photography and you are looking for subjects. Tell them that you will provide them with a complimentary (NOT “free”) portrait session. At our next meeting in St. Louis, I asked the photographer how the promotion went. “It was fantastic! I had more portrait sessions that month than I had the previous three months combined!” he explained. “I followed that up with displays at one of the local Country Clubs, one of our local colleges in the Art Department, and two at upscale women’s clothing stores. I am booked solid for the next 2 months (keep in mind that for this photographer a full day was 2 sessions due to the amount of time each session involved). Even better, my customer list has over two dozen new additions! I Wanted To Make Sure MY Target Customer Didn’t Forget Me! Now, this was around 1997 (back when we were using film). 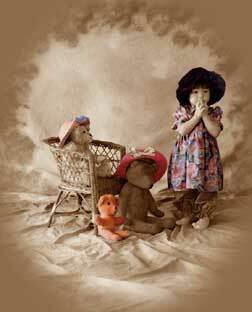 I adapted this method for my studio when I wanted to introduce a style of photography similar to Kim Anderson’s. 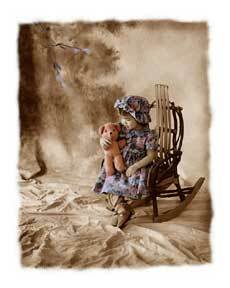 For those of you who don’t know who Kim Anderson is, he is the photographer who puts all of those photographs of children dressed in old time adult clothing with a hand tinted look on calendars and other items. Living in a very small town, I didn’t have the option of having an art gallery. The local museum was interested, but they couldn’t fit MY schedule into their schedule. No problem! I just advertised it as an “upcoming display” (I ended up having a display at a local shopping center). I used the Lisle Ramsey “Call-Mail-Call” technique. First, I had my studio manager (my daughter, Angie) create a target list of customers with children. Next, she and I split the list and called each customer. We asked them to watch for an important announcement in the mail. Then we mailed the invitations. Some called and made appointments immediately. Angie then called each customer who had NOT made an appointment. While most did not set an appointment, quite a few did. The customer was instructed to bring the correct clothing and any props. Of course, we coached them on that. By using customer props it prevented repetition in the portraits from one session to the next, and I didn’t have to purchase any additional items! For participating, I offered a complimentary portrait session. I offered 50% off any portrait purchase 16×20 and larger. I also offered a 25% discount on any gift size portraits IF they purchased a wall portrait. No wall portrait purchase–no discount. I did NOT offer the Miniature Masterpiece free as an inducement. In my area, too many people took a free portrait and ran. The Miniature Masterpiece was a product from Lisle Ramsey’s lab: it was a 4×5 on a canvas panel, and was very low in cost. From time to time, we offered this as a bonus for booking an appointment during a slow period or as “a little something extra” thrown in with an above average portrait order. This promotion hit ALL of my targets. I had just moved to a home studio in a nearby village. Even though at that time I had been in business for over 25 years, I was concerned about being “forgotten.” This special introduced us to new customers, reintroduced us to some old customers, and let the general public know we hadn’t closed. Oh yes, I almost forgot…it also introduced our checking account to some of our favorite Dead Presidents! One third would buy your car if you offered to sell it to them! Now that we are living in a digital world, this type of promotion is SO much easier. It can be advertised by email and social media, and sample prints are delivered in a matter of days instead of weeks. Something like this does more than just bring you more income. It builds your brand in your community. It gets you out of your comfort zone and gives you a fresh perspective on your photography. More importantly, it brings you a new customer or two (and many of these new customers may not have even considered you before this). If you would like some Photoshop actions that can help you create unique images, you may want to check out these great deals from DealFuel: PS ACTIONS and PS EFFECTS. I use these myself! Would you like to know how these images were lit and modified in Photoshop? Send me an email using your BEST email address to steve@bohne.com with the words LIGHTING in the subject line, I will send you a PDF file explaining it in detail at NO COST*. That’s right, absolutely free. And you don’t have to worry about me spamming you or selling/renting/loaning/or giving away your email address. I hate spam just as much as you do! Besides, I don’t have enough spare time to mail you a bunch of junk. So, know you want to do, know who your customer is, know where you can find the customer you want to serve, and YOU will be on your way to doing MORE Photography4Profit! Until next time, may all of your shadows read 7 and all of your highlights read 245! *This offer may be discontinued without prior notice. 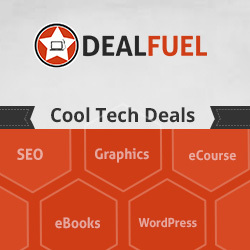 Great Deals on Tech for Photoshop, WordPress, and More!